Sixty-two years after La Stupenda’s Covent Garden debut, another young soprano from Down Under is in London in search of operatic stardom. 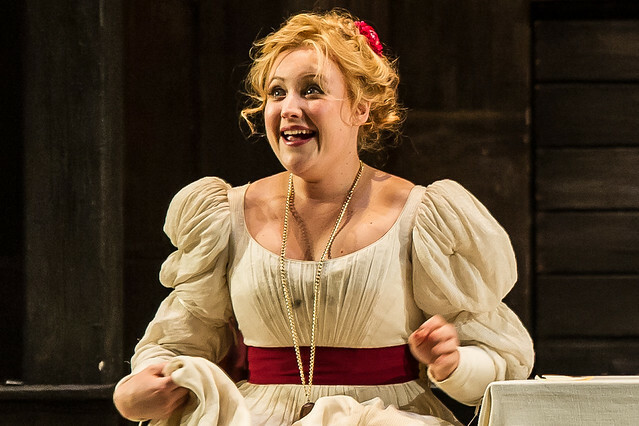 With the support of her family, Kiandra Howarth went on to fulfil her ambition of becoming an opera singer. 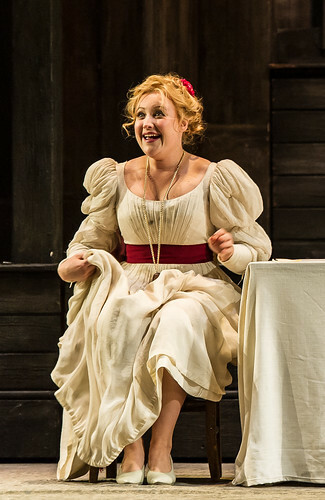 The soprano joined the Opera Queensland and Opera Australia young artist programmes in 2011 and 2012 respectively, before moving to Austria for a one-year intensive study programme at the Mozarteum in Salzburg. It was during this year that she found out about The Royal Opera’s Jette Parker Young Artists Programme from a fellow singer. Kiandra successfully auditioned for a place and moved to London in 2013. Now in her second year of the programme, the young soprano has already appeared in Parsifal, Die Frau ohne Schatten, Ariadne auf Naxos, and in this Season’s Rigoletto. Kiandra is currently in rehearsals for Laurent Pelly’s acclaimed production of Donizetti’s L’elisir d’amore which opens at Covent Garden later this month. 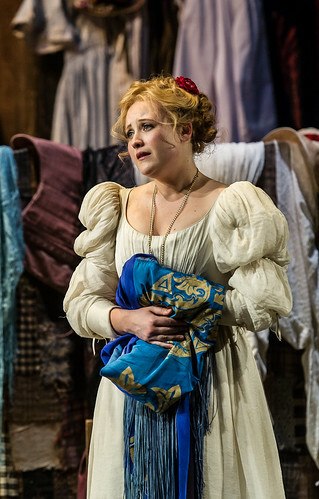 She will play the young farm girl Giannetta in a cast including Bryn Terfel, Lucy Crowe and Vittorio Grigolo. 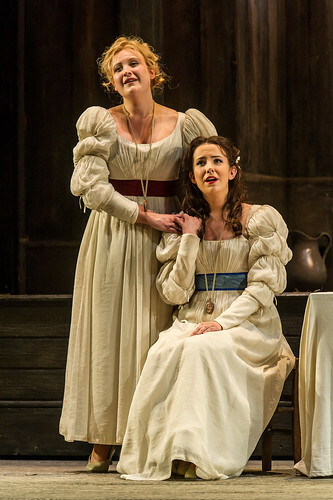 Kiandra isn’t the first young Australian soprano to arrive at Covent Garden with a talent for singing Donizetti and bel canto. Sixty-two years ago, another young Antipodean singer arrived at the Royal Opera House to take to the stage for the first time – her name was Joan Sutherland. Within a few short years, the singer dubbed ‘La Stupenda’ took the world by storm. Time will tell how closely Kiandra’s career mirrors that of the great Sutherland’s but one thing is for sure – with such talent, training and drive behind her, she too has every chance of operatic stardom. My wife and I wish Kiandra and the whole company all the very best for Tuesday next. 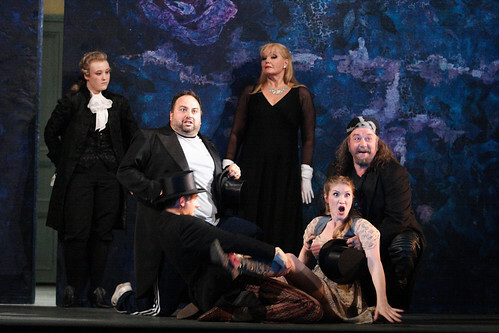 We shall be in the audience and look forward to what is going to be another marvellous evening at ROH. We first saw Laurent Pelly's brilliant production five years ago-a real treat and highly recommended. 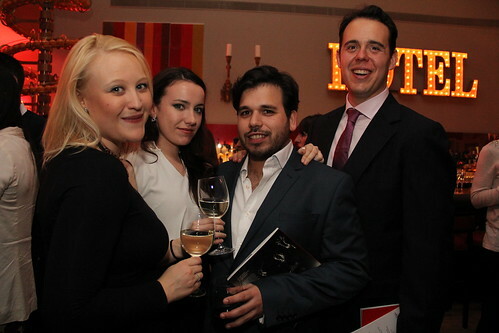 I attended the performance of L'elisir D'amore on 9th December . Kiandra Howarth took over from Lucy Crowe at the last minute and she was absolutely brilliant! Very many congratulations to her and the very best for the future.